It lets you make pro-looking videos with a few smartphones and DSLRs. Putting video on the internet is easier than ever -- even livestreaming has been dramatically simplified, thanks to products like Periscope and Facebook Live. But video production gets much more complex when you bring multiple cameras into the mix, which is useful for covering live events from different angles. At that point, you'd typically need to bring in professionals who know how to use complex studio equipment. 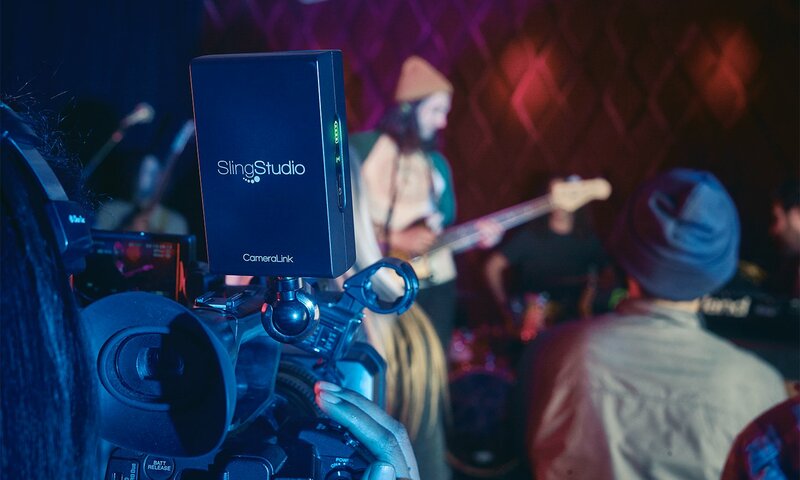 Sling believes it has a better option with the SlingStudio, a $999 device that makes it dramatically simpler for anyone to wirelessly juggle multi-camera video production. And yes, it even works for livestreaming. The SlingStudio is basically the hub for a new video production platform. It can connect to iPhones and Android phones, and, together with a $349 CameraLink accessory, it also connects to any DSLR or video camera with an HDMI port. Instead of a huge mixing board, the SlingStudio handles all of the video coming in from those devices (up to 1080p/60 FPS). It also doesn't require laying cable all over the place, as the video comes over a private 802.11ac (2.4Ghz or 5Ghz) WiFi network. It's all managed by an iPad app, which lets you preview and switch sources on the fly. Clearly, this isn't a device that every consumer will want, but Sling sees a market among schools and large organizations that want to produce more professional-looking video. 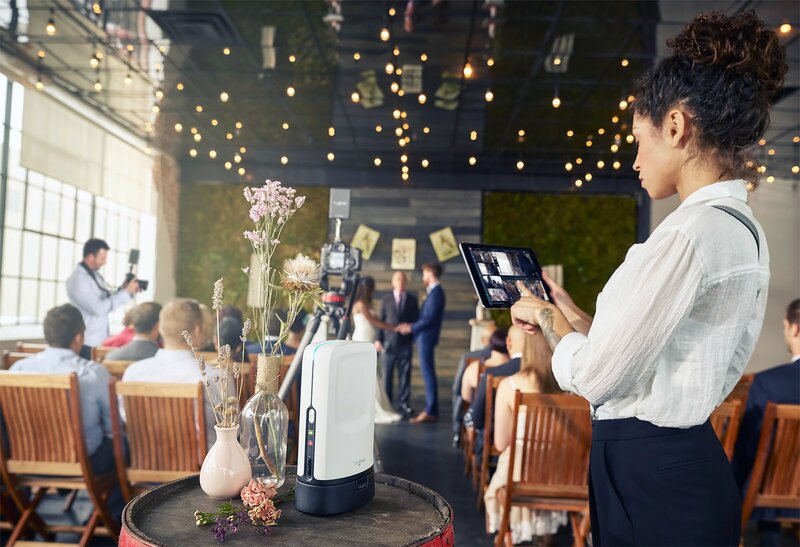 You can conceivably just bring the SlingStudio to an event, set up some nearby cameras, and get someone up to speed with the iPad app quickly. There's also a battery accessory for an additional $149 that gives you three hours of charge, which could be useful for shooting in remote locations. You can juggle up to 10 cameras at once on the SlingStudio, though you can only monitor four at the same time. One of its big selling points is seamless streaming video to Facebook Live and YouTube, but, not surprisingly, you can also bring your projects to Adobe Premiere and Final Cut for additional tweaking. Even if you're not using it live, the SlingStudio could still save you plenty of time from editing hours of raw video. The SlingStudio's hardware is pretty much the same as the Dish Hopper. Its beefy CPU, in particular, is important for juggling those video streams. It can record up to 1080p/60FPS video at 30Mbps, and produce 1080p livestreams at up to 8Mbps. The box is portable, at just 1.43 pounds and the size of a hardcover book. It includes an SD card slot and USB-C port for storage, an HDMI input port for bringing in additional video sources, an HDMI output port for previews and an audio-line in connection. The latter could be used for connecting separate audio mixing equipment, or just an announcer recording commentary. A $49 USB-C expander also lets you plug in USB 3.0 hard drives and connect to gigabit Ethernet. While it's an unusual product to see from Sling, it also makes a lot of sense. Reps tell us that the company isn't investing much in building a new version of the Sling boxes that made it famous. (Really, that should have been obvious since the launch of Sling TV and the rise of streaming video.) In their mission to find a new product category to disrupt, they realized that nobody was working on a way to make multi-camera production easier, and they had plenty of technology that could tackle that issue. The CameraLinks, for example, are basically just typical Sling streaming boxes. The SlingStudio technically had its debut at SXSW this year, where it was used to produce the show's Innovation Awards livestream. I also saw it in action briefly at Dish's NYC offices, where I watched a live feed powered by DSLRs with CameraLink accessories, as well as a handful of iOS devices. One of those was an iPod Touch several rooms away from the demo areas, which captured decent-looking video (it certainly wasn't as clear as the closer cameras). Sling says it worked especially hard to ensure that the different video streams stayed in sync, which is important for making it useful as a multi-camera platform. The SlingStudio's Console iPad app also looked simple and easy to use. The interface gives you room to preview changes before they go live, and you can also add effects, text overlays and transitions. While I'm no video professional, I could see the SlingStudio being a good option for anyone that hopes to step up their video game. I wouldn't be surprised if YouTube broadcasters ended up using it to make their livestreams seem more professional. Its big appeal is flexibility: You don't need a ton of pro-grade equipment to get a multi-camera video anymore, just a DSLR or two, along with a few smartphones.